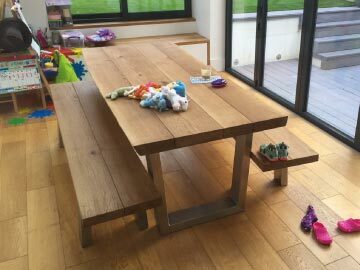 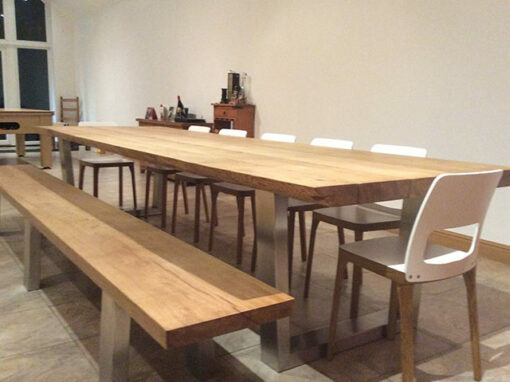 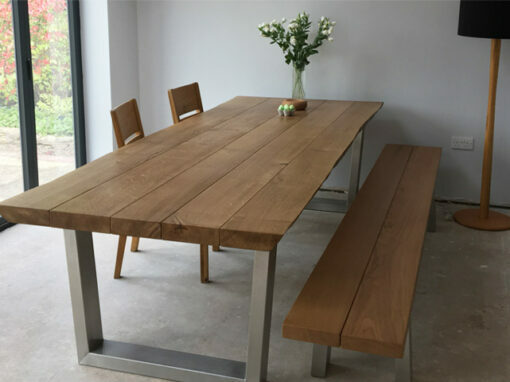 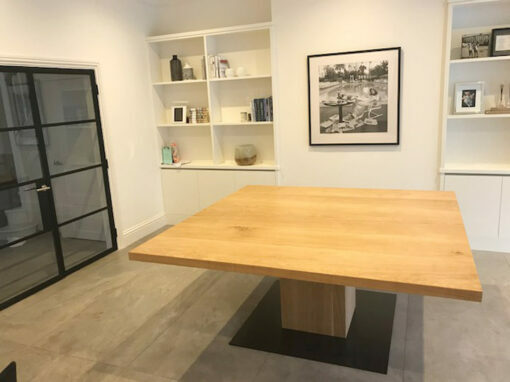 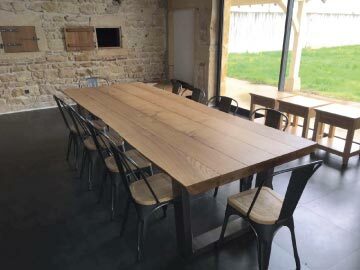 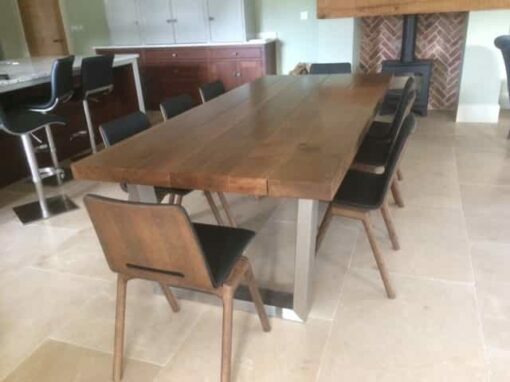 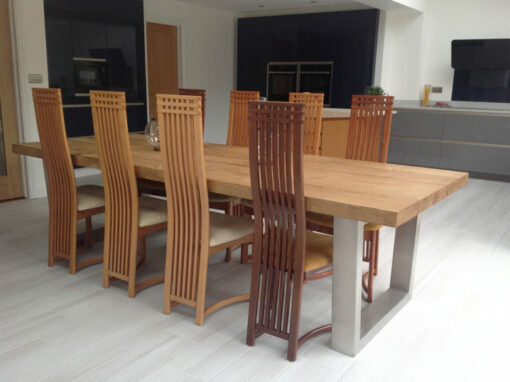 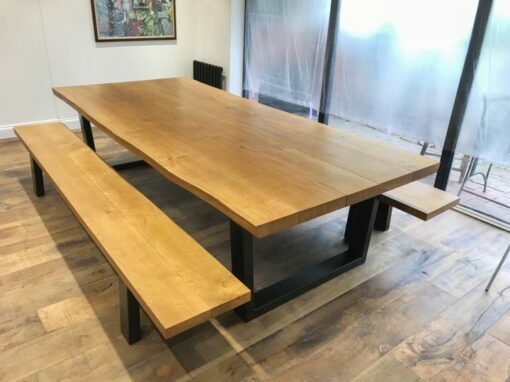 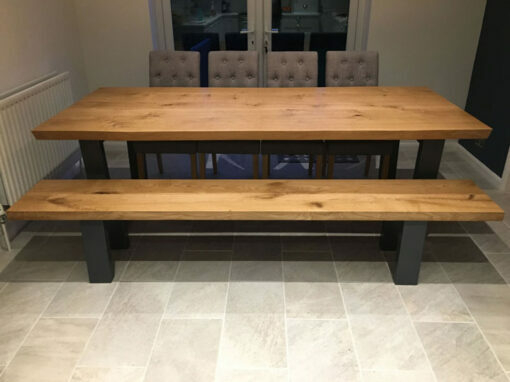 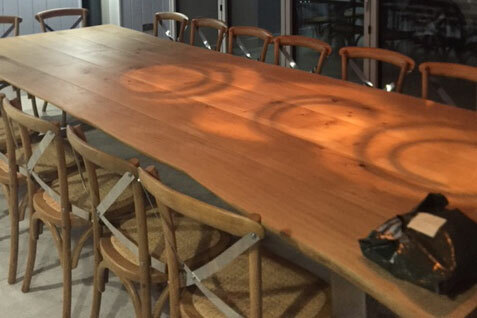 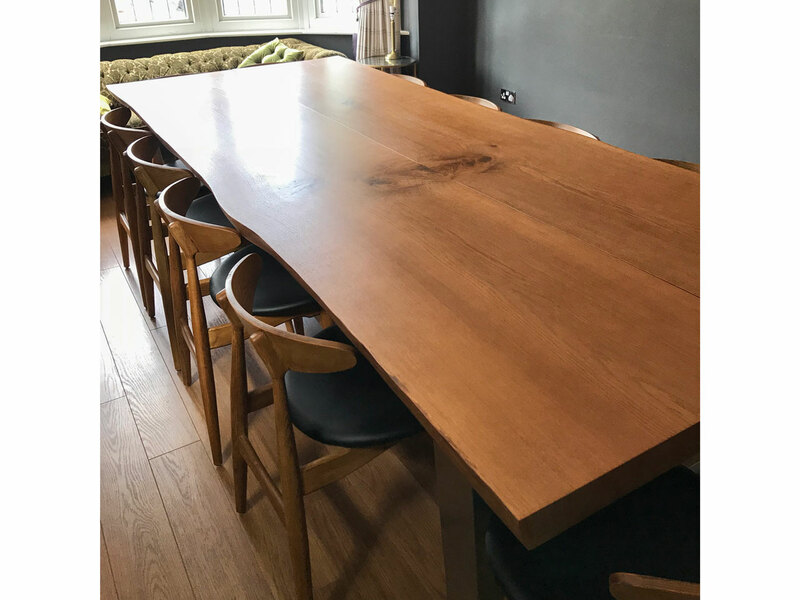 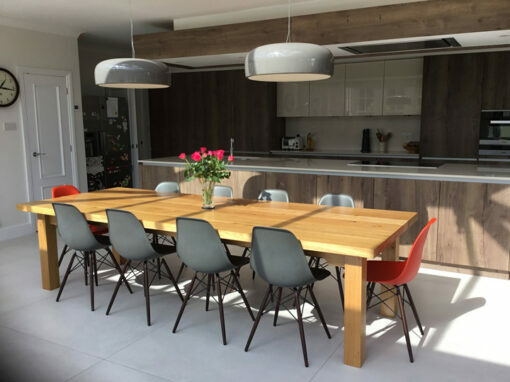 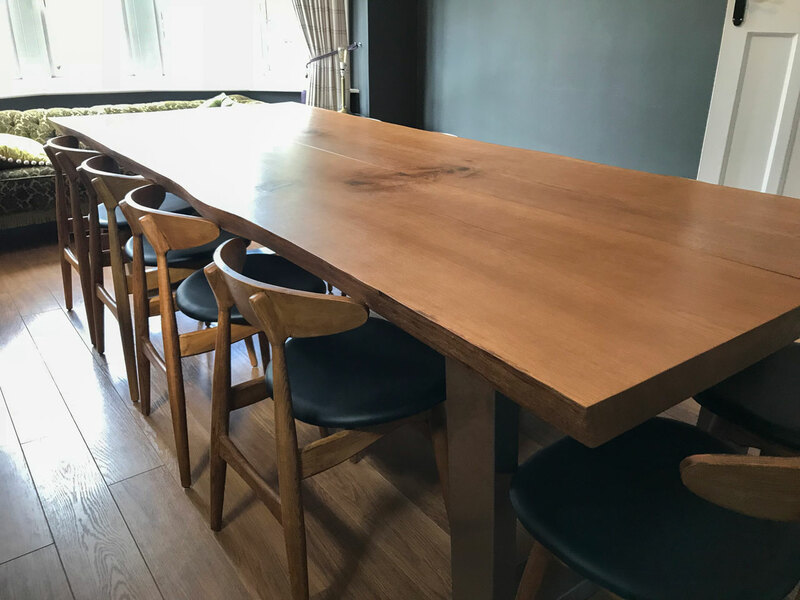 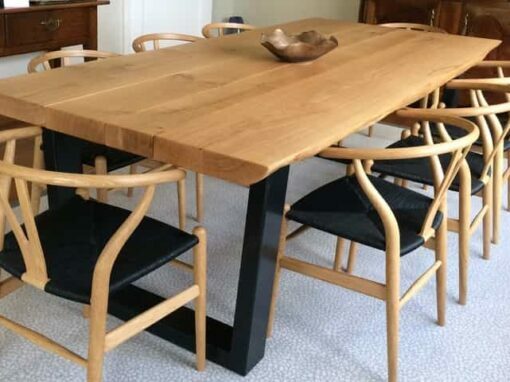 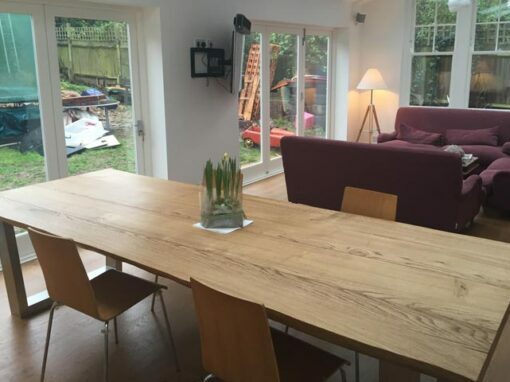 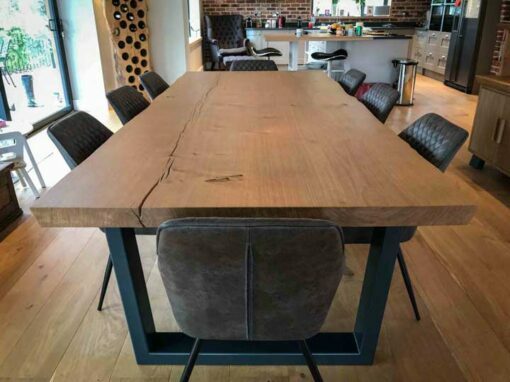 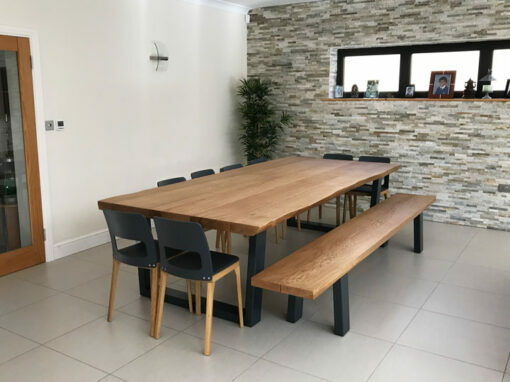 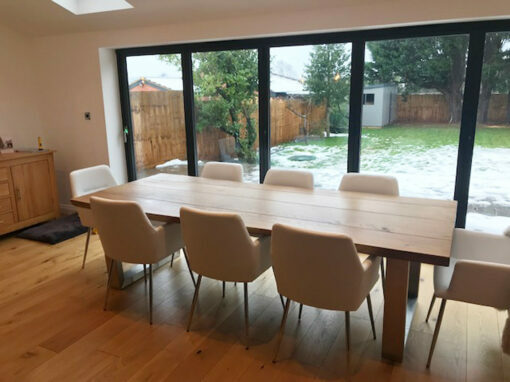 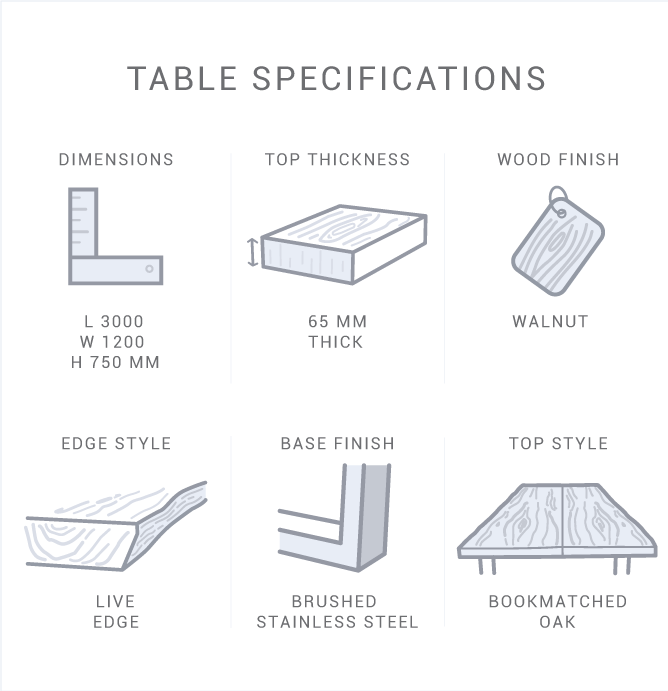 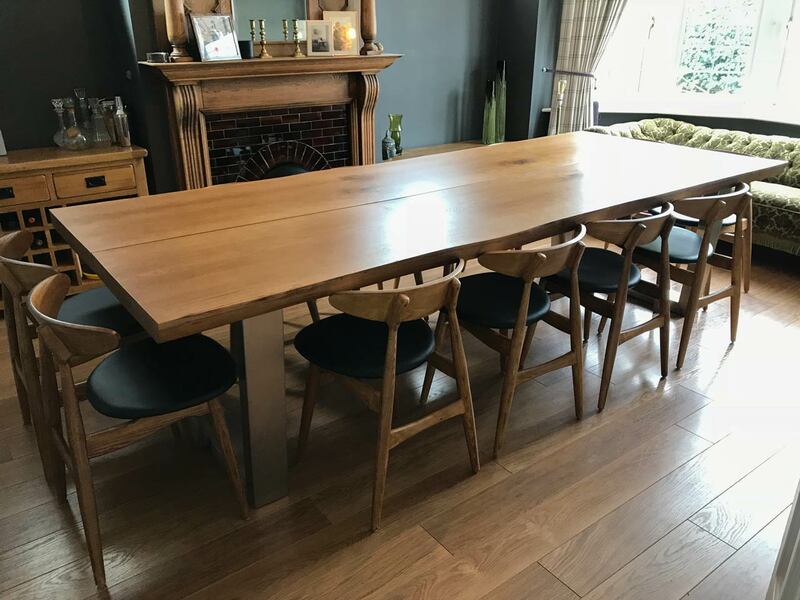 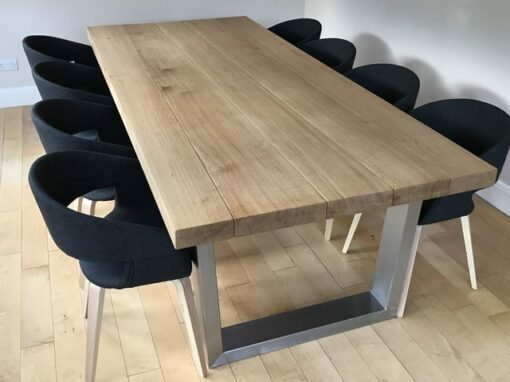 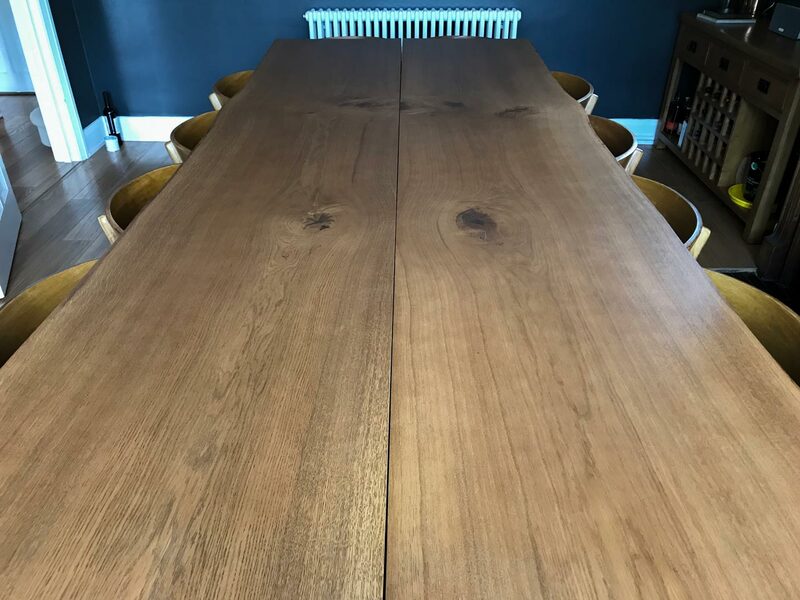 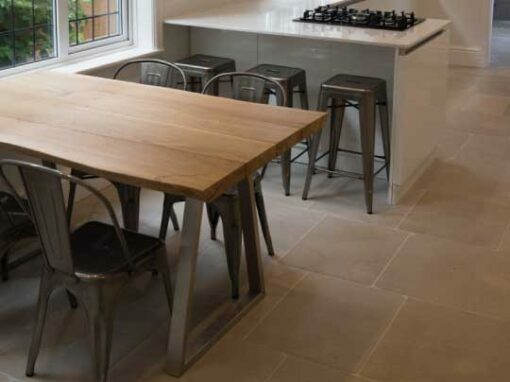 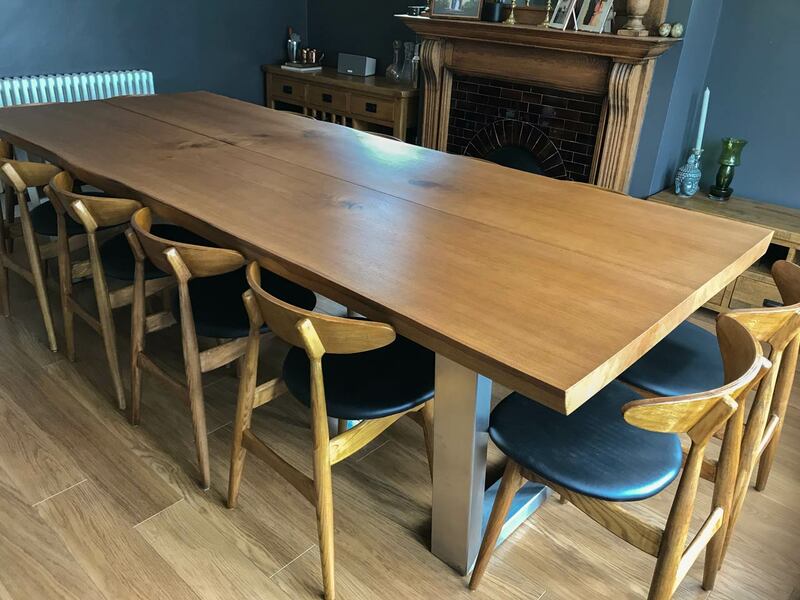 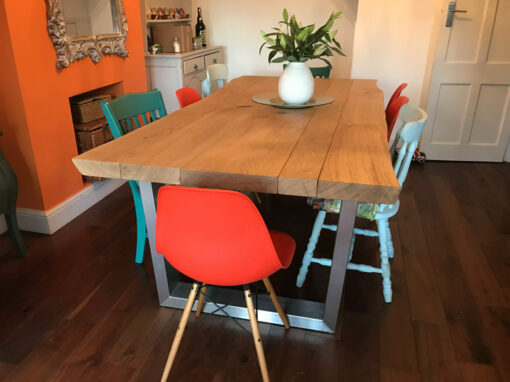 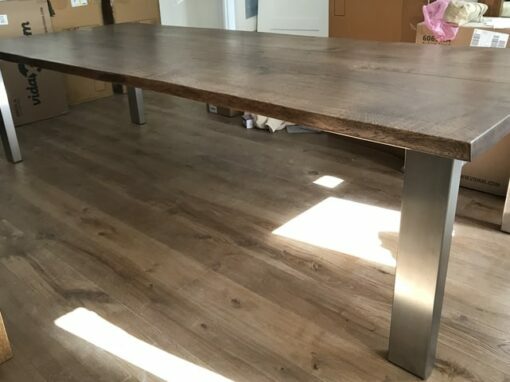 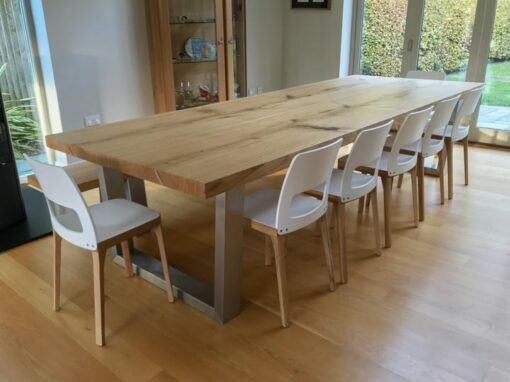 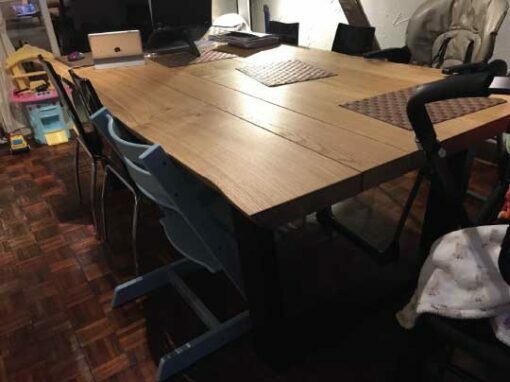 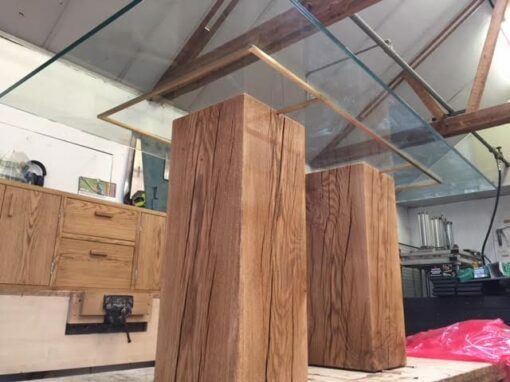 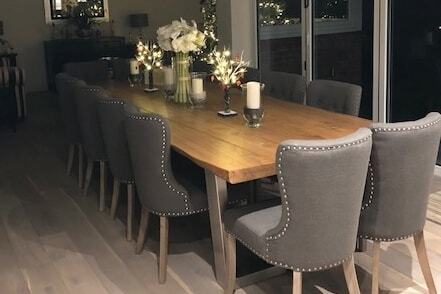 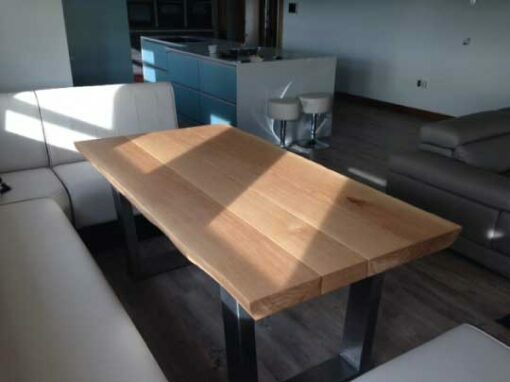 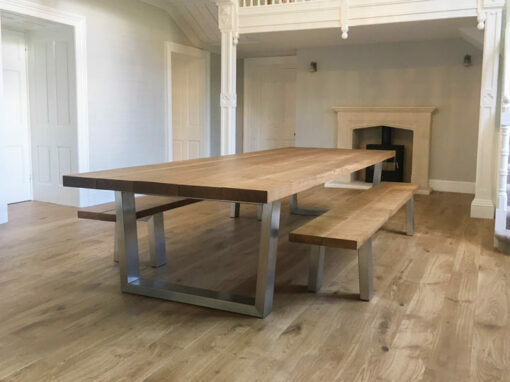 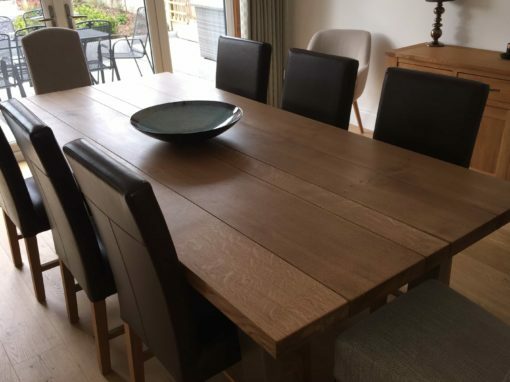 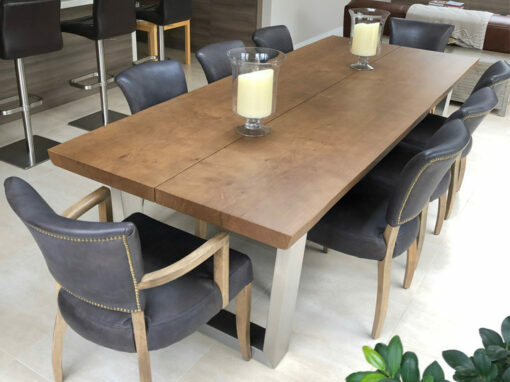 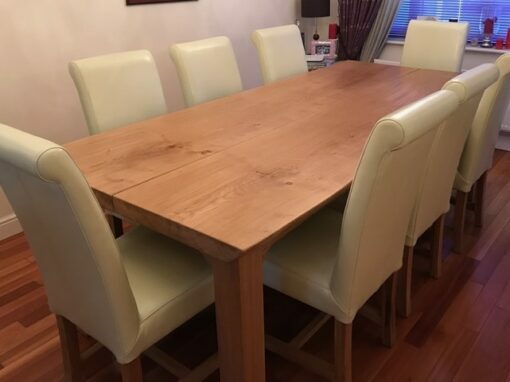 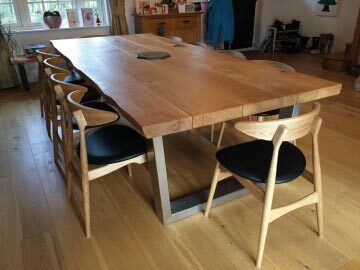 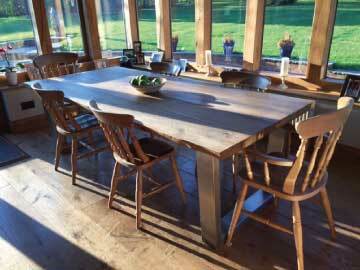 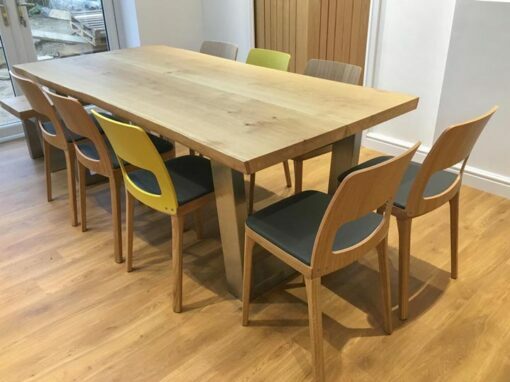 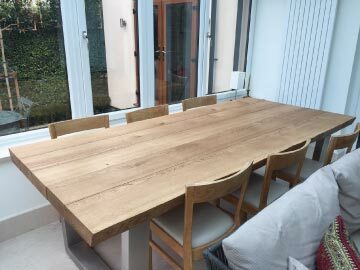 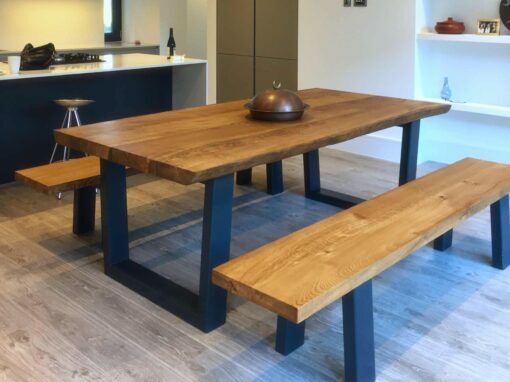 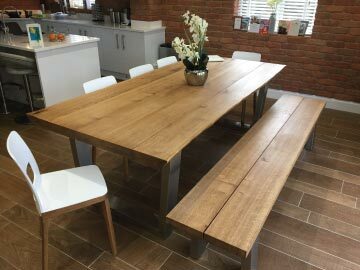 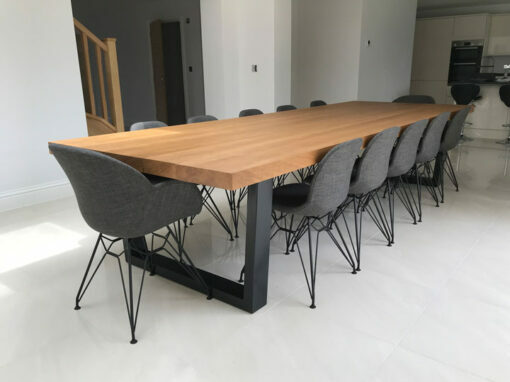 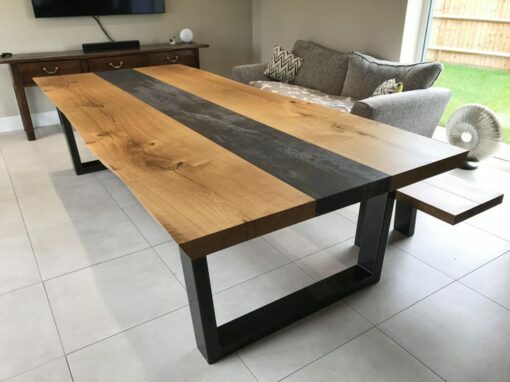 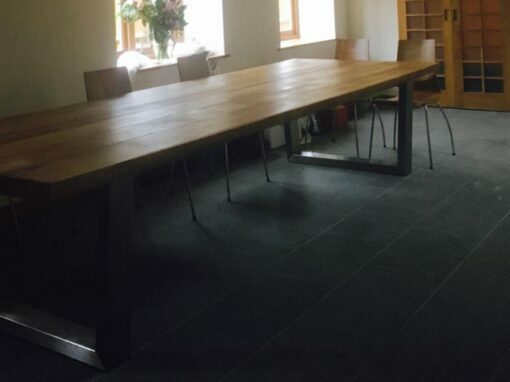 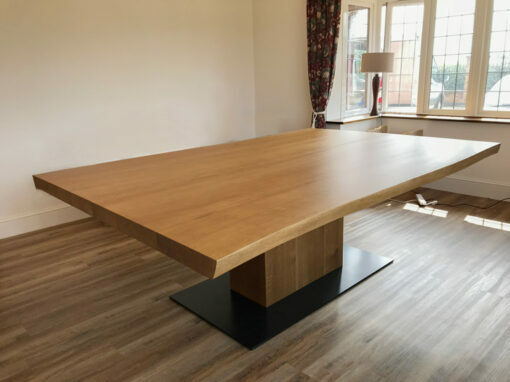 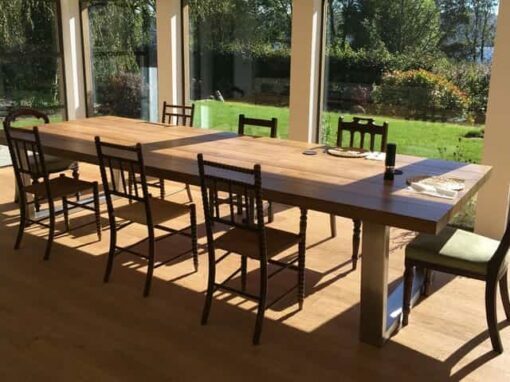 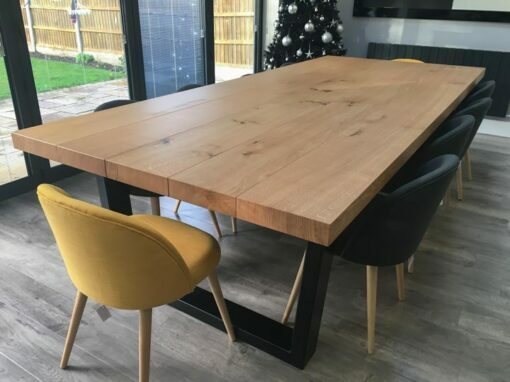 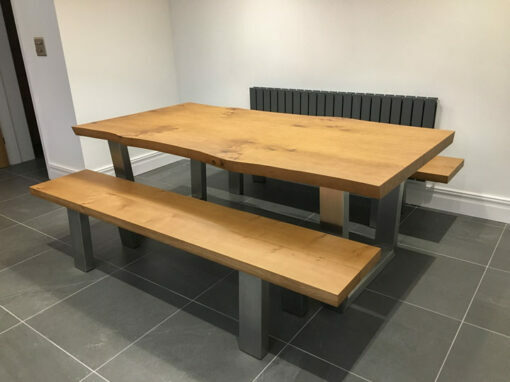 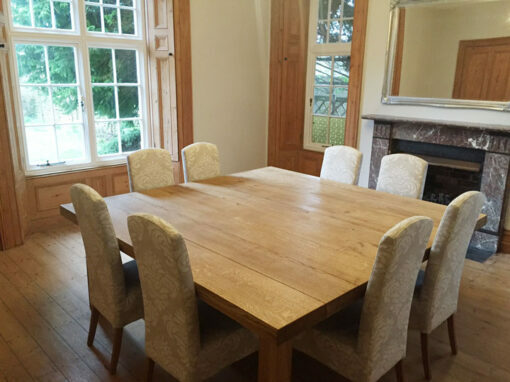 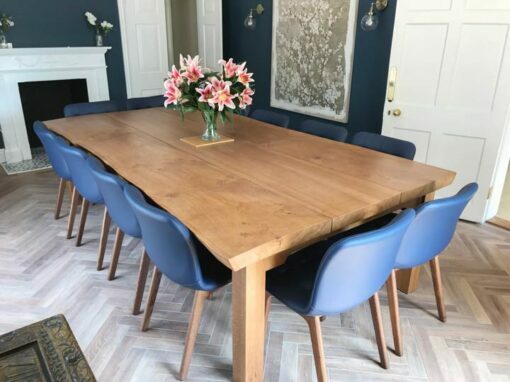 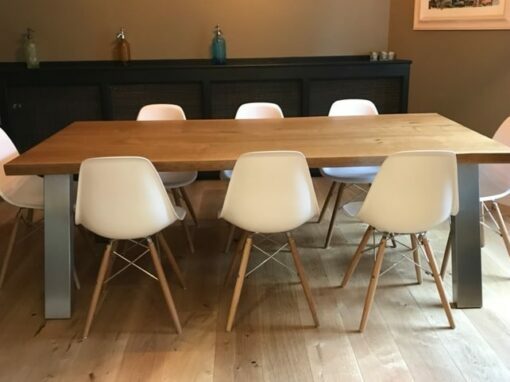 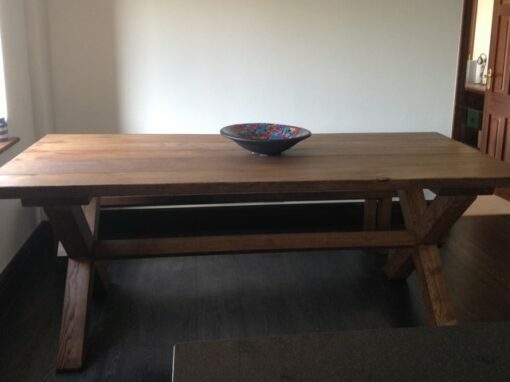 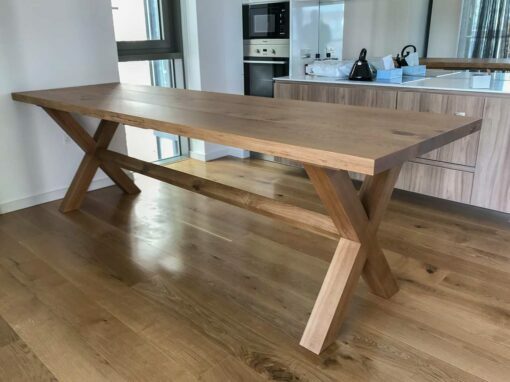 This customer was after a large natural edge dining table for their entertaining room. 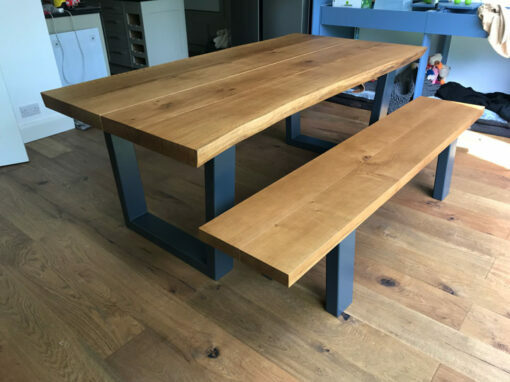 They wanted something a bit contemporary with legs made of something other than oak. 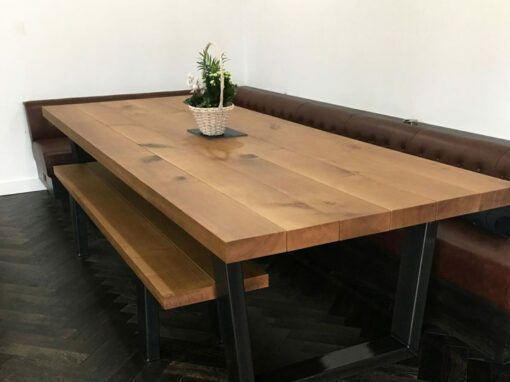 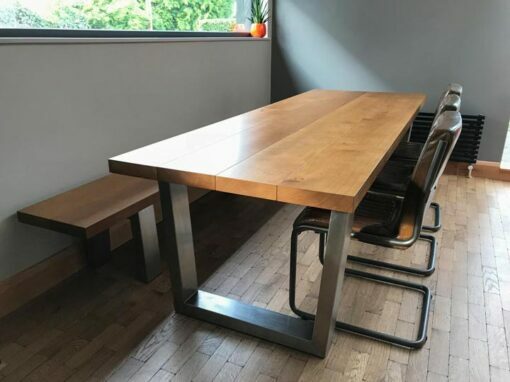 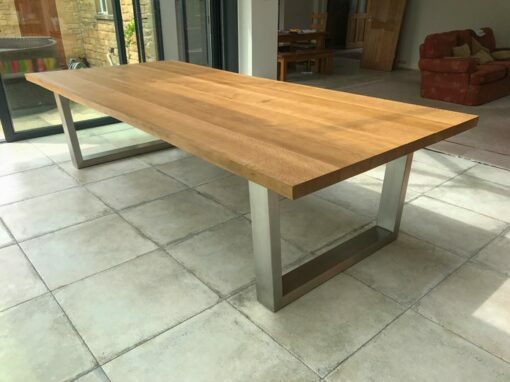 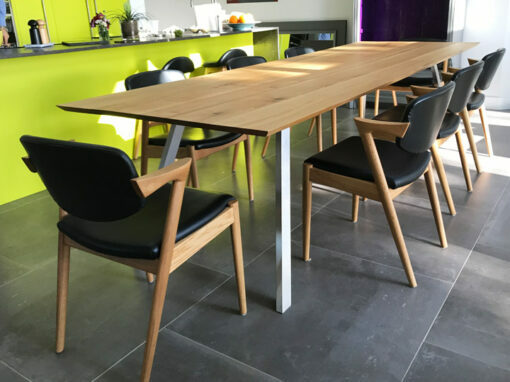 The steel-legged Komodo with brushed stainless steel legs and an impressive book-matched tabletop was perfect for the job.